A list of Christmas and Thanksgiving episodes for the TV show The Middle. Please let me know if you spot an error or if this list needs to be updated. Thank-You, ENJOY! 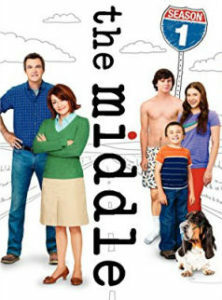 This entry was posted in Christmas, TV Shows and tagged christmas episodes, christmas episodes of the middle, christmas episodes of tv show, list of christmas episodes for the middle, list of christmas episodes for tv shows, list of thanksgiving episodes for the middle, patricia heaton comedy, patricia heaton tv show, thanksgiving episodes of the middle, the middle, the middle christmas, the middle christmas episodes, the middle thanksgiving episodes, the middle tv show, what episodes of the middle are christmas, what episodes of the middle are thanksgiving.